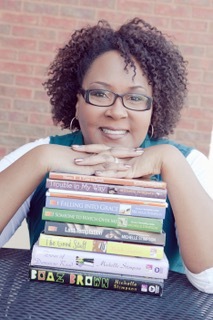 I'm happy to have Michelle Stimpson on the blog, sharing tips about becoming a better writer. I've also shared my thoughts on Who Killed My Husband? 1. Know the difference between showing and telling. If your main character suffers from anxiety, don’t write, “She suffers from anxiety.” Instead, show the reader her issue through her actions and words. Let her bite her nails, show her having a near panic attack on an elevator, let her throw up over something that wouldn’t upset most people. You want the reader to come to the conclusion that she battles anxiety based on what happens in the story. You don’t have to show everything. Minor characters and issues don’t have to be so explicit. Focus on the main plot. 2. Plot if you can. One of the things that has helped me write faster books that still have quality is to have a very detailed outline before I ever start writing. This came as a result of writing a screenplay (which hammers down details about locations) as well as reading books on how to speed-write. I still don’t write 10,000 words a day as other authors claim, but I can get up to 2200-2500 words an hour when I shut down everything else and concentrate on making that outline come to life. I used to think that plotting took away my creativity. I have gotten over that idea. I can be creative when I write the outline. I can change things if something comes up while I’m writing. But to know where I’m going from the very beginning is invaluable. For me, this is how books actually get finished. 3. Don’t edit as you write. I know a few people who have finished books who say they edit as they go, but those people are few and far between. For the most part, the people I know who can’t seem to rest until chapter one is perfect have never actually gotten past chapter 1. Writing is an art. It’s okay for a chapter to be imperfect. It should be imperfect the first time. I think you should love your story and your characters from the start, but you may not be in love with the chapters and paragraph along the way. It’s okay. That’s how love goes anyway, right? You don’t have to love every single thing about a person in order to love them. 4. Read like a writer. Every good writer I know is always reading. Reading gives you ideas, teaches you new vocabulary, shows you how other people are stringing their words together in ways you hadn’t imagined. When you read, keep a pen or a highlighter handy to mark interesting phrasing or techniques. Then rephrase and try them in your own writing. I know, I know. It seems as though it will take away the joy of reading. Don’t worry. You can read the book again if you want to. But if you want to become a better writer, you will learn to “steal” from the best artists. 5. Find Your People. You need people. Partners. Other writers who will ruthlessly critique what you’ve written and allow you to do the same for them. There are critique groups online and there’s probably one within 35 miles of every semi-major city. I know a lady who drives 2 hours every Thursday in order to meet with a critique group because they make her better. Coincidentally, she finished her first novella months after joining the critique group, which was something she had been trying to accomplish on her own for years! Bonus: WRITE! There is no substitute for writing. Thinking about writing, talking about writing, buying new spirals and fancy pens, opening a Word® document, planning to write—none of that is writing. Only writing is writing. Review - Who Killed My Husband? Ashley and Allan Crandall are a young couple who are experiencing difficulty in their marriage. Allan, or DJ Pistol Whip as he prefers being called, is heavily involved in his music business, while Ashley is concerned about his soul and the survival of their marriage. When Allan is murdered, Ashley is forced to stand strong on her faith and get through a difficult situation. Though short, I enjoyed this story. It speaks to the sometimes unrealistic expectations we have of others and how the people we are colour our own expectations. I wondered how Ms. Stimpson would handle the subject of murder in such a compact story, but she did it well. The pacing was good, the tension continued to build until Ashley came face-to-face with her husband’s killer. The book came to a satisfactory conclusion and I will definitely be reading more from this author. Michelle serves in women’s ministry at her home church, Oak Cliff Bible Fellowship, in Dallas, TX. She regularly speaks at special events and writing workshops sponsored by churches, schools, book clubs and other positive organizations, and she has taught writing classes at the University of Texas at Arlington. Michelle lives near Dallas with her husband, their two teenage children, and one crazy dog. Labels: Book Review, Michelle Stimpson, Who Killed My Husband? Trust me, I'm all about the detailed outline before I begin! I'd be lost without it. I agree with point 3, big time! I used to spend a long time agonising over every word. When I let go of that is when I started finishing things. Great points Michelle, especially about reading. Congrats on your book.